INJURED AT WORK? 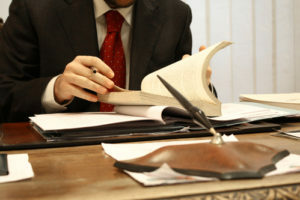 DON’T DELAY, CONSULT WITH A LOCAL CALIFORNIA WORKERS’ COMP ATTORNEY NOW! Workers’ compensation law(1) is an independent legal system that is designed to provide injured workers with specific benefits and a legal forum to resolve disputes between injured workers, employers and insurance companies. Filing a workers’ compensation claim form for your injury doesn’t mean a lawsuit against your employer; it is simply a request for benefits from your employer’s insurance carrier. A local California workman’s comp attorney can help you as an injured worker to prepare, file, and process the workmans’ compensation claim to get you all the benefits that you are entitled to under the California workmans’ comp law. WHO MUST PROVIDE WORKERS’ COMPENSATION COVERAGE? California law requires every employer to have workers’ compensation insurance or become a self-insured, even if the employer has just one employee. Workman compensation coverage is designed to provide benefits to injured workers. Liability for not having coverage can range from a criminal offense and $1,000.00 fine (see California Labor Code Section 3700(2)), to preventing the employer from operating its business until the employer can show proof of actual workmans’ compensation insurance coverage. If an employee is injured on the job when the employer is not covered by workers’ compensation, that employee is paid benefits from the state’s Uninsured Employers Fund. The state will take steps to recoup funds from the Uninsured Employer using the same methods it uses to collect overdue taxes, child support, and student loans. The state can put a lien on the employer’s home, and the employer’s contractor’s license is automatically suspended. The employer’s assets can be attached even if held overseas or in a corporation or trust. In addition, workers can sue the Uninsured Employer for negligence in civil court. Workers’ compensation insurance protects the health and income of workers who get injured on the job. Also limits the employer’s liability for lawsuits, such as meeting your payroll. For example, if an employer can’t afford workers’ compensation insurance, the employer should not be in business. WORKERS COMPENSATION IS THE SOLE AND EXCLUSIVE REMEDY THE INJURED WORKER HAS AGAINST HIS OR HER EMPLOYER, AND CO-WORKERS. Under the workers’ compensation system, the employer provides no-fault insurance against workplace injuries and, in return, the employer and its workers are not subject to lawsuits that could be filed by an employee who gets hurt or becomes ill because of work conditions, or because of a co-worker’s actions. 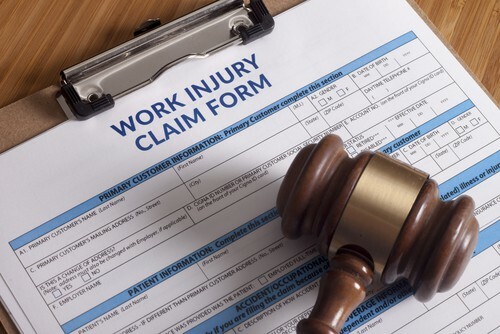 Notably, by filing a claim under your employer’s workers’ compensation coverage, you are relinquishing the right to file any other form of negligence liability lawsuit against the employer and any co-workers. Because workers’ compensation is a no-fault system, your workers’ compensation lawyer Does not need to prove that your employer is at fault for your injuries for you to receive your workman’s comp benefits. You can file a workman’s comp claim for any work-related injury for which you can provide proof. As a result, the claim will be thoroughly reviewed and investigated by your employer’s insurance carrier. Additionally, your employer will most likely conduct a separate accident or incident investigation as well. Whether or not your claim is found eligible under the workers’ compensation system, that will be determined by your employer’s insurance investigation. If the cause and condition of your injury cannot be clearly linked to a work-related accident or illness of some kind, then your claim may be denied. A competent workers’ compensation attorney can help overcome such hurdles.